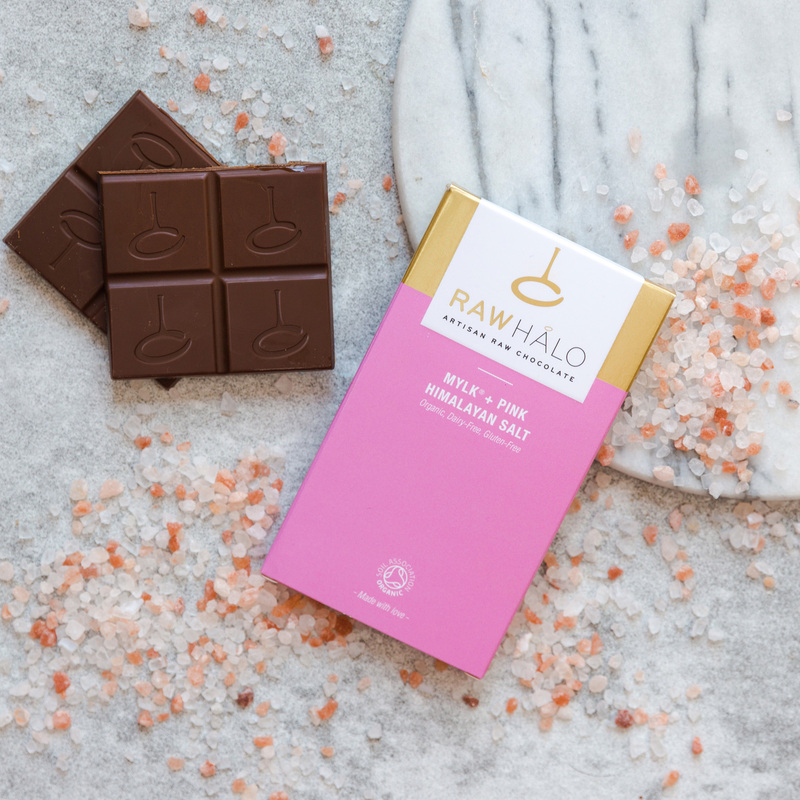 Our Pure Mylk raw chocolate with pink Himalayan crystal salt. With added vanilla, cashew nut butter, unrefined coconut sugar and lucuma powder, this bar still retains its deliciously creamy taste. Made with only organic ingredients. 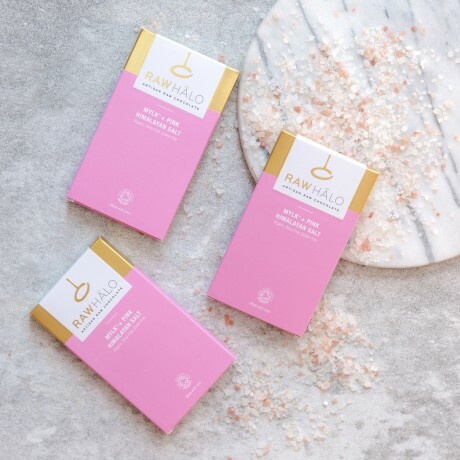 Raw cacao butter*, coconut sugar*, raw cacao powder*, cashew nuts*, lucuma powder*, inulin powder*, pink Himalayan crystal salt (0.6%), vanilla powder*. *Certified organic ingredients. Cocoa solids 57% minimum. For allergens see ingredients in bold. Not suitable for nut allergy sufferers.